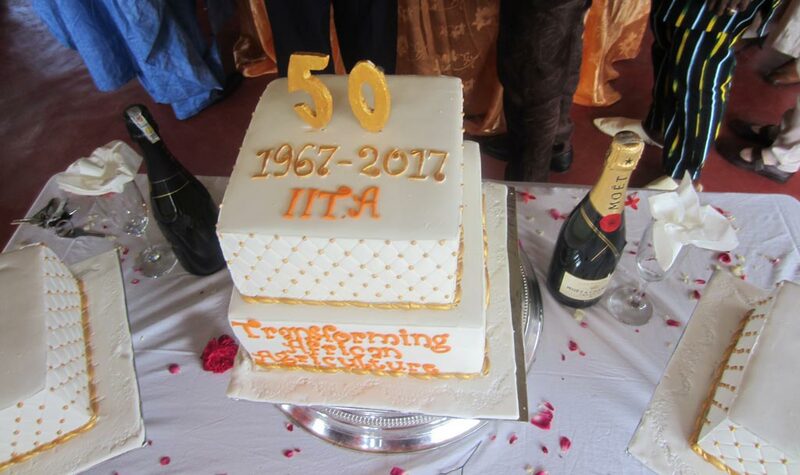 Activities marking the 50th anniversary of IITA in Cameroon were organized and held at Nkolbisson, Yaoundé on 28 June. 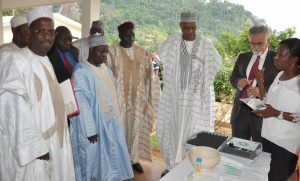 The ceremony brought together state personnel including the Minister Delegate of Agriculture and Rural Development, Ananga Messina; representatives from the Ministry of Scientific Research and Innovations and the Ministry of External Relations; the Director of IRAD, and other state dignitaries. 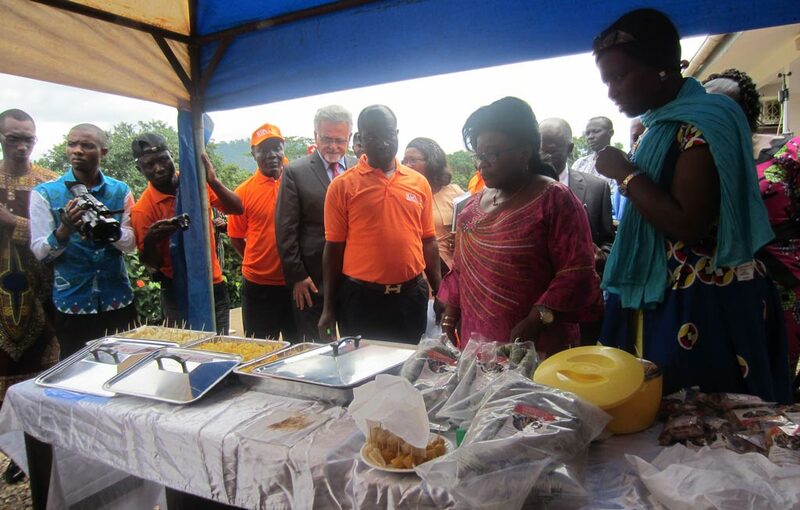 The IITA team comprised Namanga Simon who represented the Director General; country representative Rachid Hanna; and station administrator Simila Boubakari. The Congo Basin Institute representative Matthew Lebreton and a host of scientists, researchers, students’ commercial agents, and farmers’ representatives also attended. Presiding over the ceremony, the Minister Delegate of Agriculture and Rural Development, Ananga, expressed satisfaction for the collaboration that exists between IITA and the government of Cameroon. According to the Minister, agriculture is the pillar of advancement and to step up production, there is a need for increased production, diversified research, and access to new markets. Ananga particularly saluted research carried out so far in the areas of maize, cassava, and plantain/banana using in vitro plantlets. 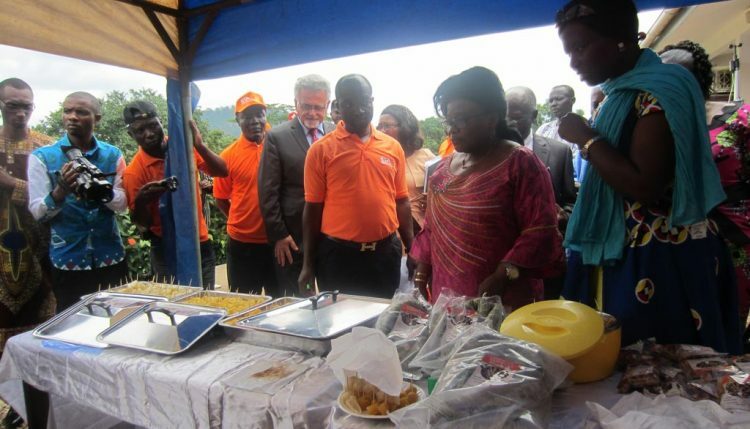 Ananga Messina, who represented the Minister of Agriculture and Rural Development, at the event tasting some finshed and nutritious food products from IITA staple crops. She also highlighted the ongoing fight against the Banana Bunchy Top Disease and progress achieved in helping to prevent the disease from entering the country. Commenting on the negative effects of climate change, the Minister explained that more than 200 million hectares of forest are cut down each year for agricultural reasons, exacerbating the problem of climate change, and remarked that IITA should also take up the challenge in this area. In his keynote address, the country representative of IITA-Cameroon Rachid Hanna presented a brief history of IITA, tracing back to 1997 when IITA signed the Headquarters Agreement with the government of Cameroon, giving it the status of an international organization. He used the occasion to particularly highlight the role played by Akinwumi Adesina (scientist, former Minister of Agriculture and Rural Development of Nigeria, and presently President of the African Development Bank) in finalizing the headquarters agreement with the Government of Cameroon. He then saluted the contribution made by colleagues Stephan Weise and Aboubakar Yacoubou towards achievement of that goal. 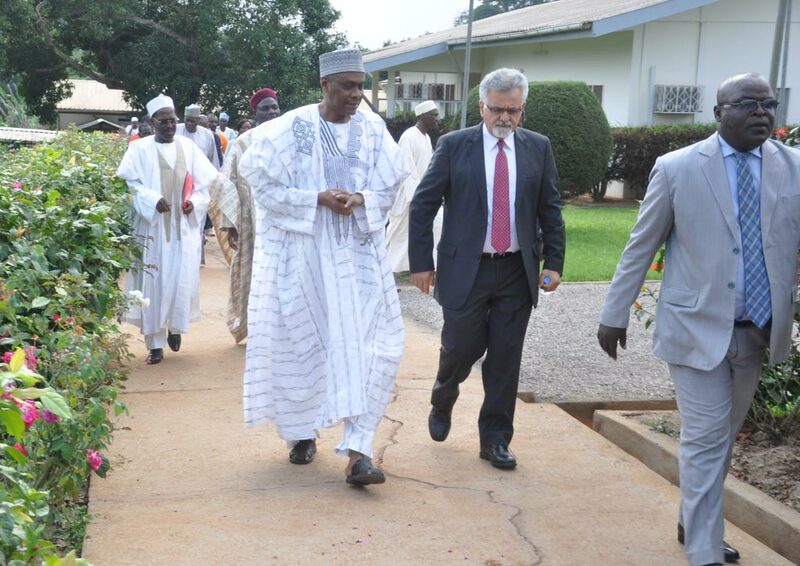 Rachid Hanna (right), IITA-Cameroon Country Rep. welcoming a member of parliament to the station. Rose Ngango, IITA scientist, explainng about research in Plant & Soil Science Laboratory to the dignitaries at the event. Rachid leading the delegates to the various exhibition stands. 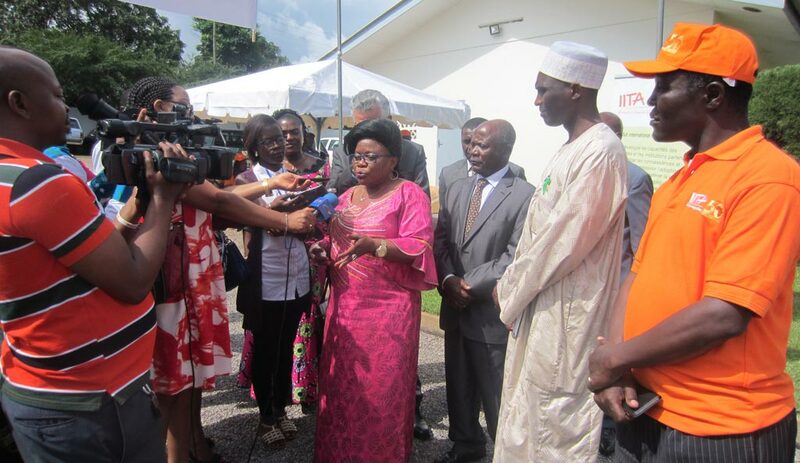 Ananga Messina, telling the press about IITA’s collaboration with the government and the Ministry of Agriculture and Rural Development.